Raw finishes, exposed elements, stripped back and salvaged surfaces... these are a few design highlights of a home with an ‘Urban Industrial’ style. A modern home with a lot of character, thriving in its imperfections is what urban industrial-themed interior design is all about. Urban Industrial utilises unorthodox design approaches to stand out in the crowd; this style is distinguished by its non-conformance to popular trends and ability to embrace its own faults. 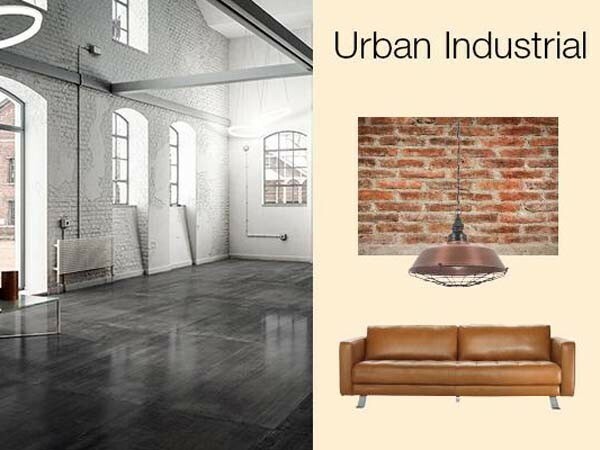 Beaumont Tiles presents a style checklist for homeowners who want to add ‘urban industrial’ chic to their homes. When it comes to colour, draw inspiration from dark wood patinas, concrete greys, corroded metals and imperfect moss inspired olives. Expose the building materials, complete with copper piping and bricks, or use blackened galvanised steel. Expose the ceiling and building frame too, if you like. All of these features will contribute to that true industrial feel, adding depth and character to the space. Being the industrial colour of choice, Charcoal should be used in the form of large format dark floor tiles, which can be teamed with brass or matt black fittings, old industrial light switches, lamps and towel rails, as well as timber cabinets for warmth. Use dark, large format tiles or timber look planks with minimal detail. Select stainless steel or cement look splashbacks, use metallic light fixtures, and install white tiles with a contrasting grout. Leather couches are a perfect match for the urban industrial look.